iPhone 5 and iOS 6 users not happy with Apple Maps can finally use Google Maps as an alternative. 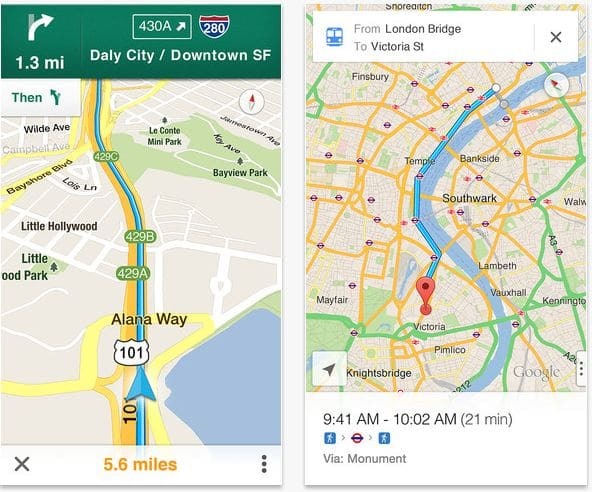 The Google Maps app replaced with Apple Maps in iOS 6 is now available in the App Store as a separated app with more features than it had in iOS 5. The app now features Google local search, voice guided turn-by-turn navigation, public transit directions, and Street View. Google Maps can be download from the App Store (link) for free. The app requires iOS 5.1, iOS 6, 6.0.1 or later.